Over 50 years ago, a not-yet famous family created a visitors paradise in the sacred Wailua River Valley to celebrate the Hawaiian spirit of aloha that they loved and lived by. 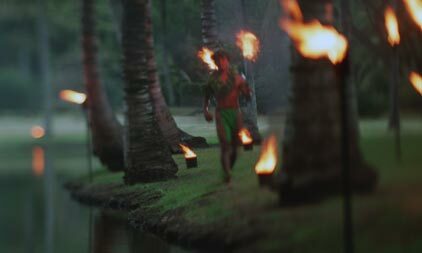 I have attended this luau more times than I could ever count, sharing it with family and friends over the years. I keep going back due to the delicious food and impeccable service coupled with the undeniable Aloha Spirit that emanates from this loving family. The heart of any luau is the pa‘ina (the feast), and they will make sure you don’t go hungry: Kalua Pig roasted in the earthen imu oven. Cousin Gary’s secret recipe for Teriyaki Beef, Ono MahiMahi, and tasty Chicken Adobo are all served with a family style bowl of poi (which Grandma insists you try!) You will be so grateful for this abundant feast you will not be able to resist if invited to try some hula moves up on stage to show your appreciation. 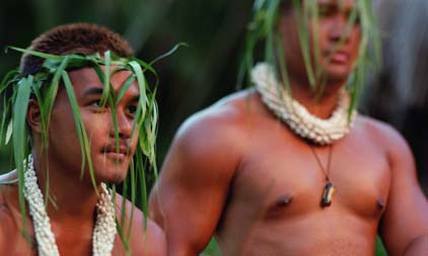 Imu Ceremony - Meet some of the family members and learn of the Hawaiian cooking method called Kalua — where Kalua pig is wrapped in ti leaves and cooked to perfection in an earthen imu oven. 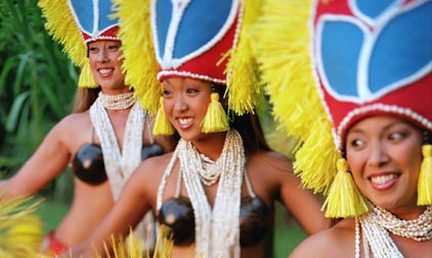 Luau Feast - The music continues while you enjoy traditional flavors and island favorites like Kalua pork, beef teriyaki, chicken adobo, and sweet’n’sour MahiMahi. 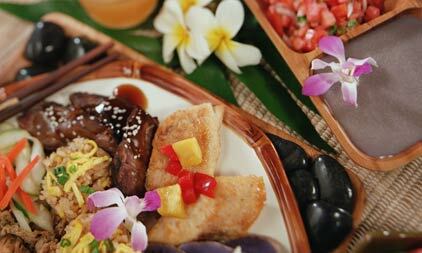 Sample the local specialties like lomi salmon, fresh poi, Hawaiian sweet potato, macaroni salad, namasu salad and scrumptious tropical desserts! 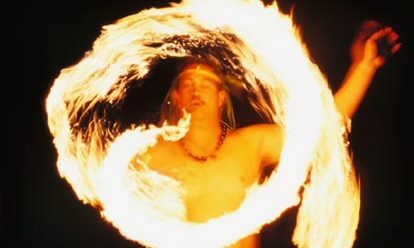 Rhythm of Aloha Show - Move to the rhythm with colorful, authentic performances from Hawaii, Tahiti, Samoa, the Philippines, New Zealand, China and Japan in the spacious open-air, torch-lit “Pele Amphitheater” - complete with erupting volcano! Bring your camera and a light jacket or sweater. There is a strict 24 hour cancellation policy.